Developer Change Living will be holding a public consultation on Monday 30th October 2017, sharing its plans for the Old Brewery Site in Southville, Bristol. The event will be held at The Snug, The Tobacco Factory, Raleigh Road, Bristol, BS3 1TF between 3.30 and 8pm. This is an opportunity for local residents to view plans for the redevelopment of the Old Brewery site, meet the team behind the plans, and share their views. Change Living, part of Change Real Estate, is looking to create a mixed-use development on the site that lies between North Street, Baynton Road and Durnford Street. Including residential and commercial, the plans demonstrate a sensitive approach that will add to and enhance the site’s existing character by retaining and rebuilding selected buildings, as well as new build elements. Ron Persaud, director at Change Real Estate, says, “The Old Brewery estate in Southville has in the past been home to a mix of warehouse, workshop and office space. The properties and infrastructure on the site have not been invested in to any great extent for many years. 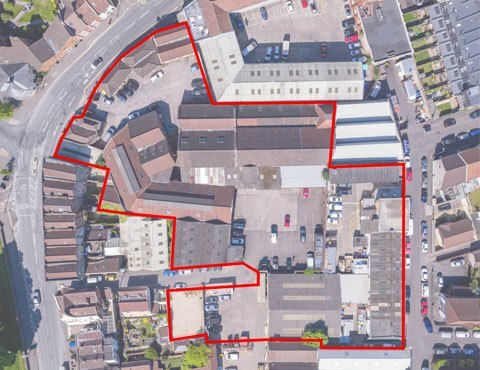 As a company we look to take on sites that we can make a real difference to – I believe that through careful management we can greatly enhance the potential of the Old Brewery. “We’ve been liaising very closely with planners at Bristol City Council over recent months, and with community groups such as BS3 and the Civic Society. It’s very important that we involve the local community in our plans, and this public consultation will enable everyone to view our proposals. The Old Brewery is located on the site of the old Ashton Gate Brewery and Thomas Baynton’s Brewery, which started brewing in the 1820s. Architects are Nash Partnership. Planning consultants are GVA. The Bristol-based developer is currently progressing the multi-million pound, mixed-use regeneration at Redcliff Quarter and is also near completion of the restoration of one of Bristol’s most iconic Georgian parades at Redcliffe Parade West back to its original residential use. The Old Brewery MCC LLP is a partnership between Change Real Estate and Cannon Family Office.